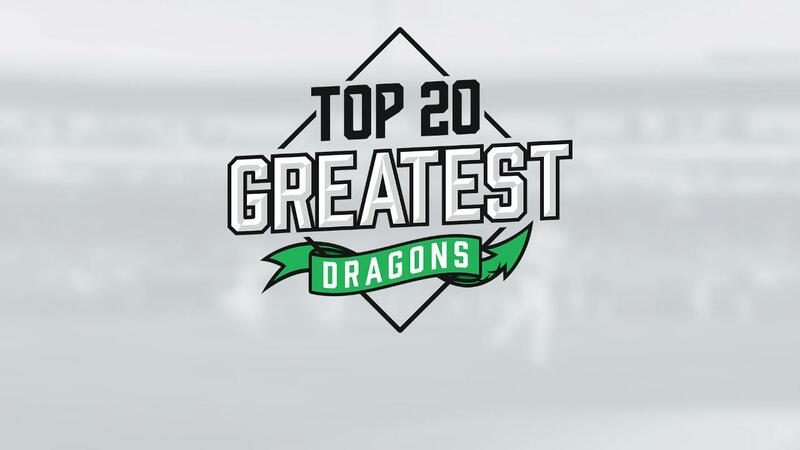 Dayton, Ohio-In conjunction with the Dayton Dragons 20th Season Celebration, the Dragons will be announcing the "20 Greatest Dragons" as selected from the team's complete history beginning this afternoon. Players will be announced, one at a time and approximately two per week, leading up to the Dragons 20th Opening Night game on Thursday, April 4 against the Bowling Green Hot Rods. The 20 players have been selected based on a media vote of Dragons television, newspaper, radio, and internet reporters. Additionally, during the 2019 season, the Dragons will be conducting a fan vote featuring one player per position to announce their all-time greatest lineup. On Wednesday, the Dragons announced their "20th Season Celebration Game" on Saturday, March 30 at 2:00 p.m. at Fifth Third Field. The game will match the 2019 Dragons ("Team 20") against a team of Dragons alumni who are still playing in the Cincinnati Reds minor league system. Ticket information for the Dragons 20th Season Celebration Game: Dragons season ticket holders have received information via email. All fans can go to www.daytondragons.com/celebrationgame for more ticket information and to add their name to the ticket waitlist. Single-game ticket sales will begin in mid-February.